SANDPINES EAST. 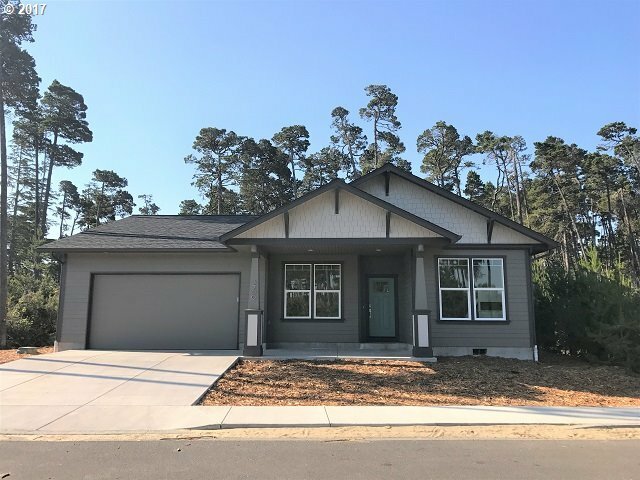 New Alsea #E Model, 1603 square foot home under construction. 3 BD, 2 BA, featuring 11 ft. ceilings in the living room and four 7 ft. windows overlooking a seasonal pond with gazebo. 9 ft. ceilings throughout the rest of the home, quartz countertops in kitchen, SS appliances and custom soft close cherry cabinets including bathrooms. Master bath has tile floor & roll-in shower. Ductless heat pump for heating & cooling.